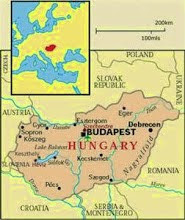 BUDAPEST, August 3–26: Hot, hot, hot! Work. Writing. Gyros with Miki at Ararat • Coaching from Judit • Runs with Barb, Kristy and Maria • Runs with Rio • "Son of Saul" • Moved from Jules' and David's apartment to Oliver's (opposite synagogue) • Susy and the big storm • Susy lunch • Jules and David returned • Kevin and Simone at Mazel Tov. Chris. ISTANBUL, August 27–31: Holiday with Miki • Hagia Sofia • Blue Mosque • Sufi dancing • Prince's Islands • menemen with simit bread • Pudding shop • Kadir at AgoraLife Sultanahmet. Chris.